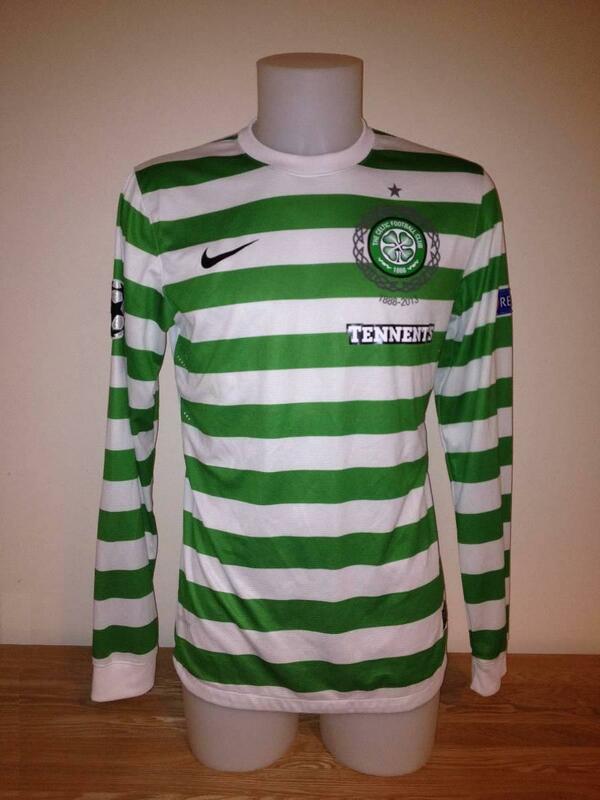 Virgil’s match worn shirt from the 11th May 2014 game against Dundee United, which Celtic won 3 – 1. 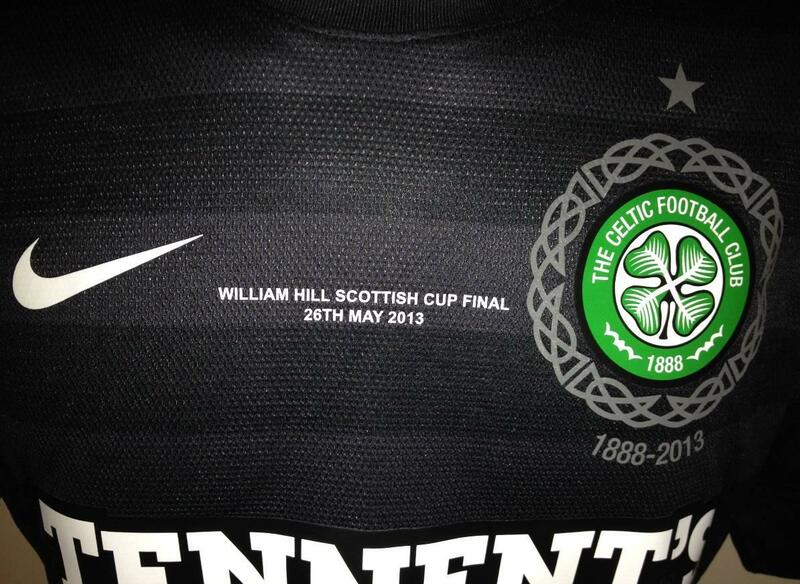 Includes the National Famine Memorial Day logo on the front. 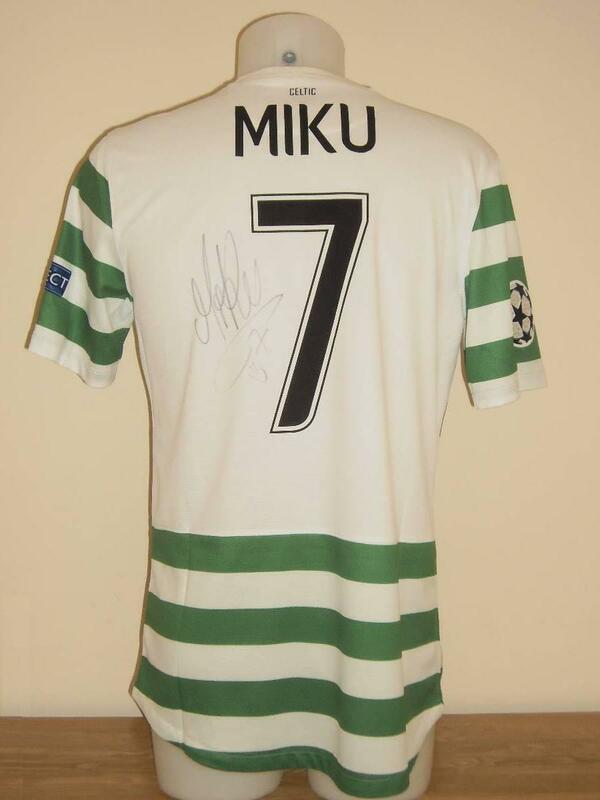 Miku’s bench worn shirt from the Champions League match against Juventus on 12th February 2013. Unfortunately Celtic lost 3 – 0 on the day against the Italian side. Beram Kayal’s benchworn shirt from the historic 3 – 2 away win against Spartak Moscow, courtesy of an injury time winner from Samaras. 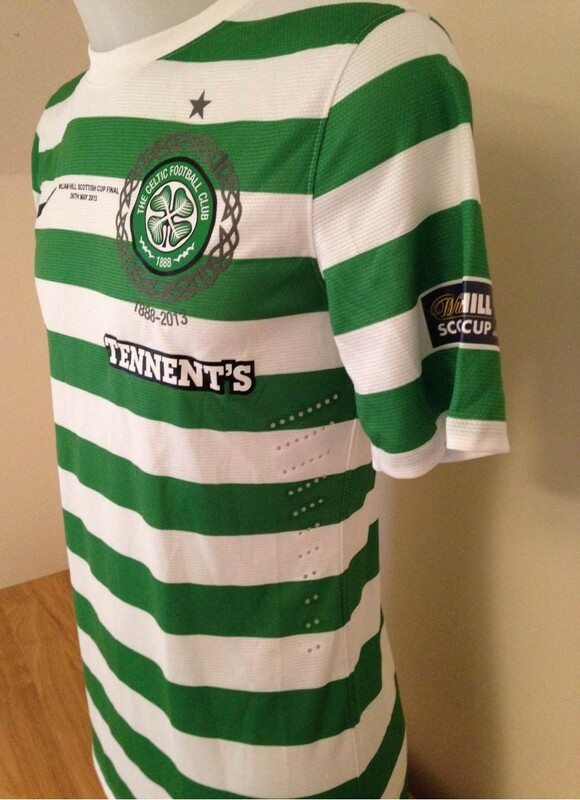 A player worn shirt used during the trophy presentation following the Scottish Cup Final in 2013, where we beat Hibs 3 – 0. 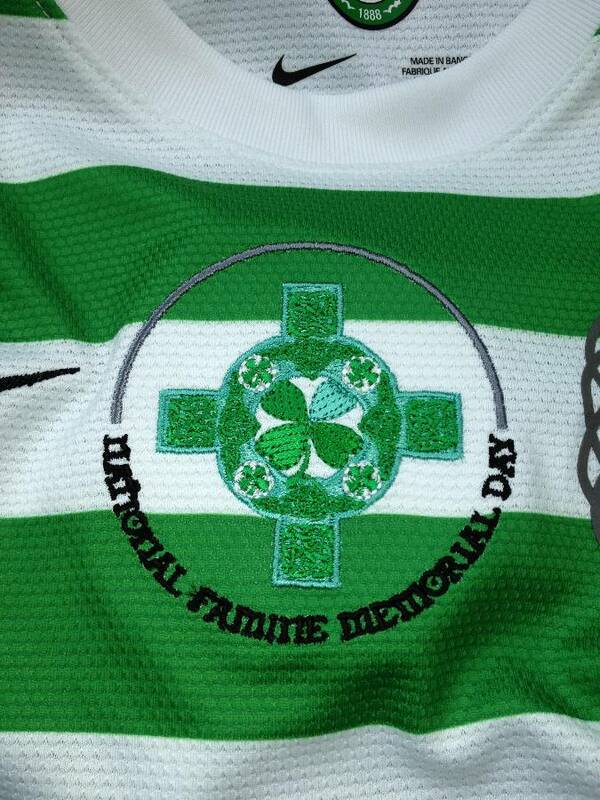 Beram Kayal’s benchworn shirt from the May 2013 match against St Johnstone, with the National Famine Memorial Day logo. 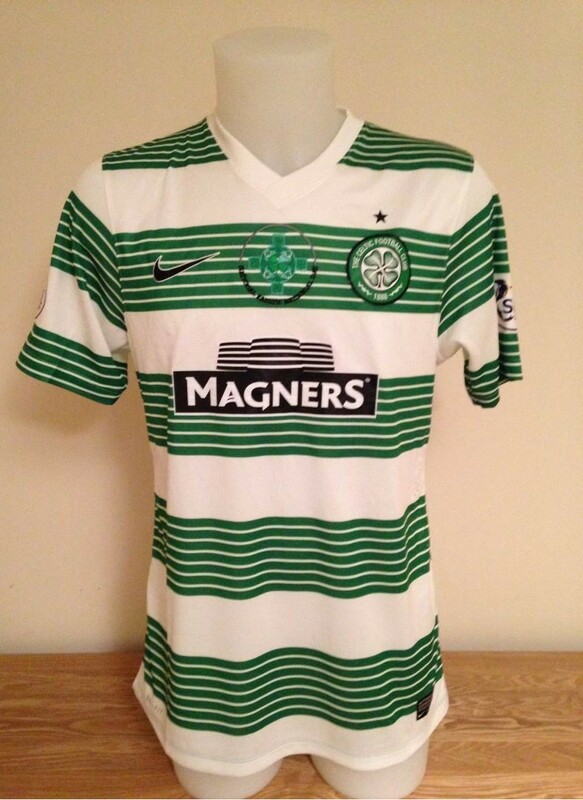 Mikael Lustig’s first half matchworn shirt from the Scottish Cup Final in 2013. Celtic beat Hibernian 3 – 0 with a brace from Hooper, and a late goal from Joe Ledley. 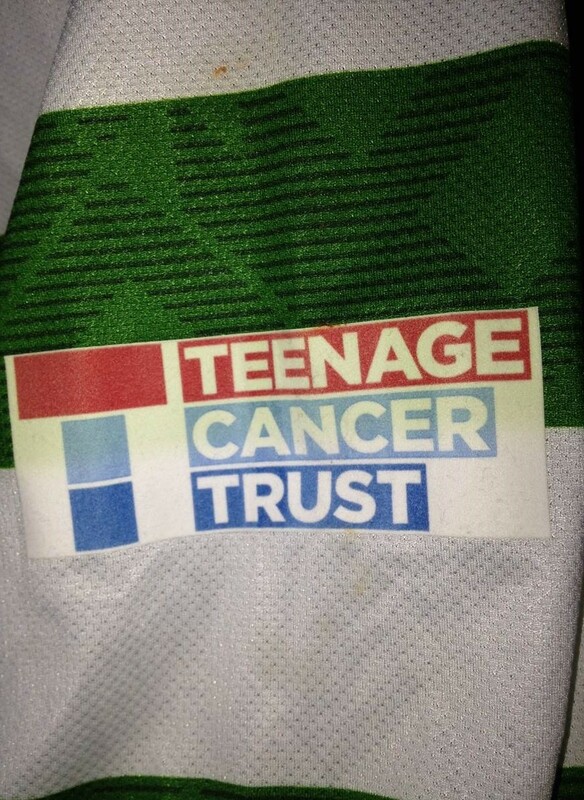 The shirt Tony Watt was wearing when he scored that famous goal, adding to Victor Wanayama’s first half header to give Celtic a 2 – 0 lead. Messi tapped in late on, but it wasn’t enough to stop us inflicting their first defeat of the 2012/13 season. 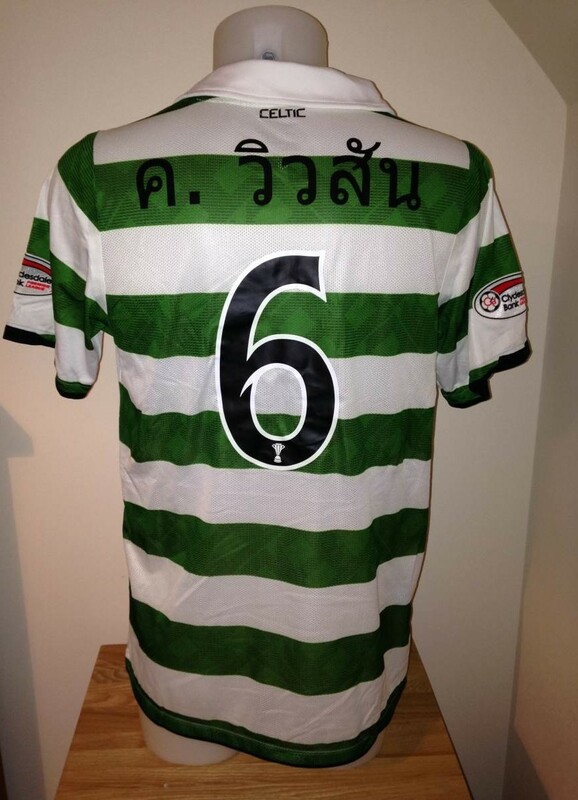 A match prepared Kelvin Wilson shirt from 2011/12 with Thai lettering on the rear. Momo Sylla’s matchworn shirt from the Legends Match, which took place for Oxfam’s East Africa appeal. 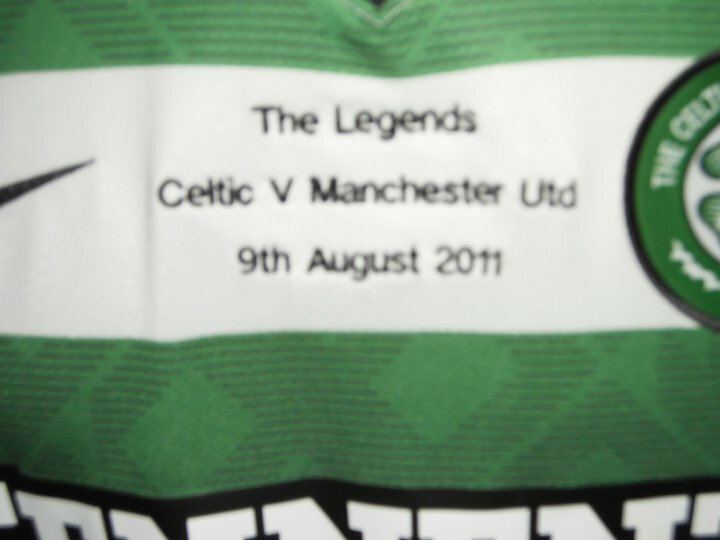 Henrik Larsson bagged a hat-trick as we beat a Manchester United legends side 5 – 2. 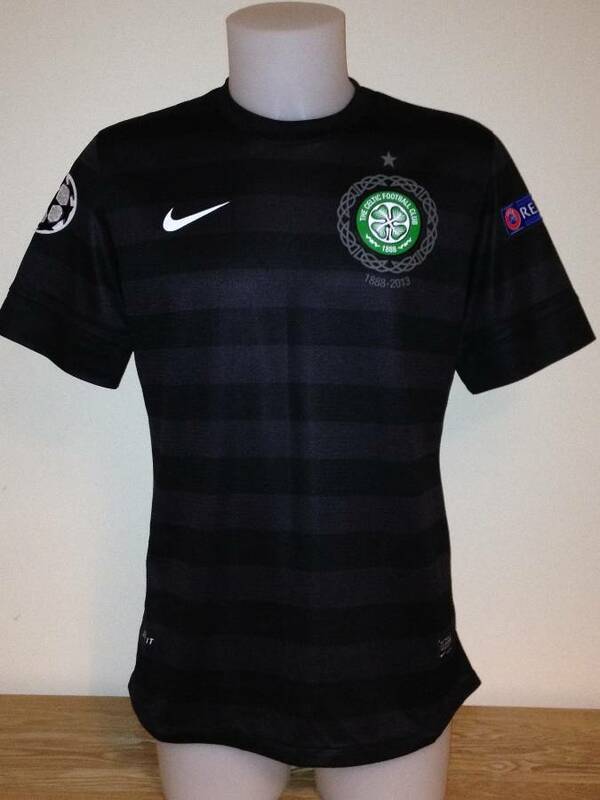 Kris Commons matchworn shirt from the Adam Drury testimonial at Carrow Road, where we lost 2 – 0 to the side managed by former Celt, Paul Lambert.